Elysium Gates web hosting service, where YOU come first! Economical $5-$35 per month, the exact services you need reflect the price. We can accomodate whatever size site or bandwidth you need. Volunteers and staff that care about YOU! 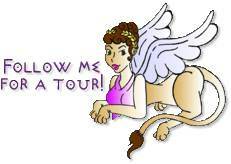 Always click on my picture (I am Medira the Elysium Gates mascot) to move through each page of the tour in order.